A mandatory meeting for the zone team participants will be held at Walt Whitman High School in Maryland, Sunday, March 30, 2008 at 6:00pm. The address is 7100 Whittier Boulevard, Bethesda, Maryland (Link to map). 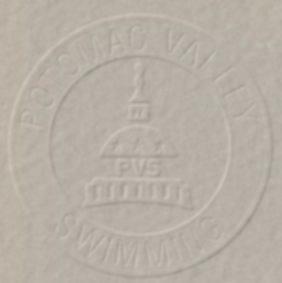 You must bring a check made payable to Potomac Valley Swimming in the amount of $400.00 . NO SWIMMER WILL BE ALLOWED ON THE BUS WITHOUT FULL PAYMENT. Apparel will be handed out at the meeting. Coaches phone numbers will be given out at the meeting. Rooming assignments will be determined by coaches. In most cases we try and mix swimmers from different teams together. We want swimmers to meet each other and make new friends. Parents interested in volunteering to chaperone are requested to contact PVS Zone Coordinator, Dave Greene at DGreene@rockvillemd.gov.